Half cents were struck by the United States Mint from 1793 through 1857 and were the nation's smallest circulating denomination. They were made from a pure copper composition from 1793 through 1837 and a bronze composition (95% copper, 5% tin and zinc) from 1837 through 1857, when the coin became impractical and effectively unnecessary due to economic inflation. All half cents were struck at the Philadelphia Mint, so none carry any mintmarks. There was also several design changes made to the half cent during the six decades of the denomination's run. Numismatists generally regard all half cents as scarce, though many of the earliest dates are especially challenging, as are choice, original red specimens in uncirculated condition regardless of the date. Meanwhile, dealers and collectors who deal in circulated pieces usually prefer evenly struck pieces with chocolate-brown patina. Unfortunately, many half cents are encountered with holes, heavy scratches, and porous or cleaned surfaces. 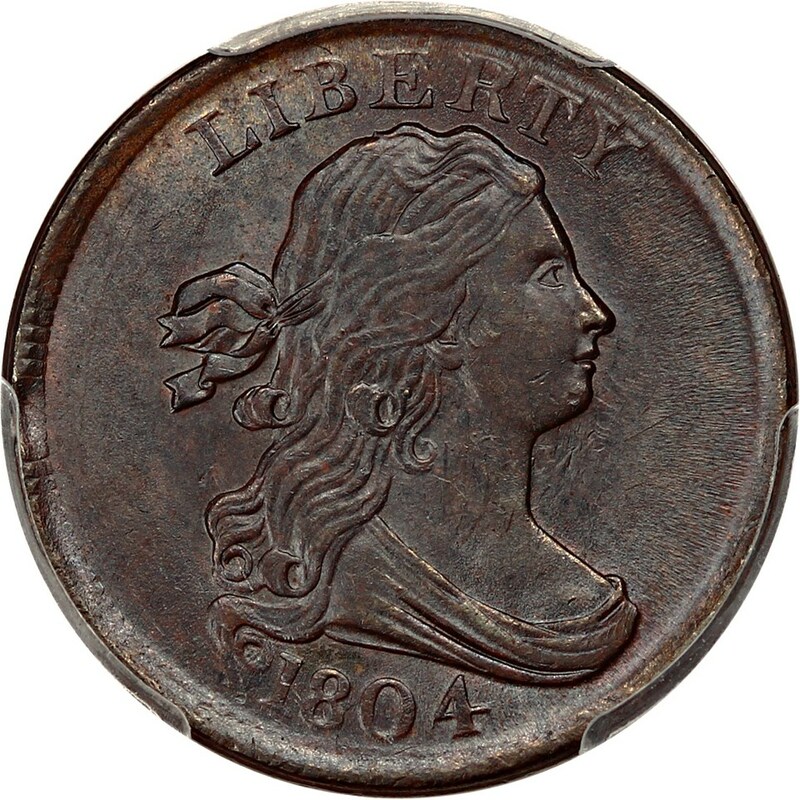 As is the case with all older copper coinage, problem-free half cents are challenging to come by and often sell quickly when offered for sale.